/ UofL Day of Giving - Support our Sustainability Initiatives! A lot has changed in 200 years—our commitment hasn't. Since 1798, the Cardinal family has dreamed big, worked hard and made a lasting impact on our community, commonwealth, and beyond. 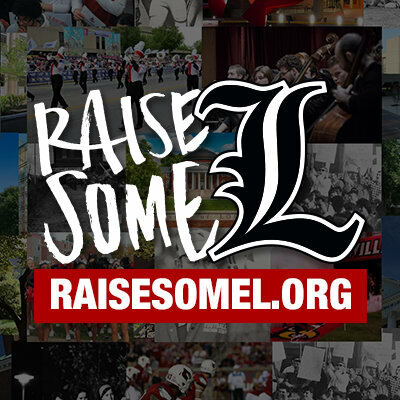 Beginning at 6:02 p.m. on Oct. 23, for 1,798 minutes, Cardinals everywhere will come together to celebrate who we are and Raise Some L. This is a Cardinal call to action to all students, alumni, faculty, staff, and fans. Mark your calendar. Put it in your smart phone. Tape it to your mirror. Do whatever it takes. Make a gift during that 1798 minutes to the Green Fund for UofL and support our sustainability initiatives! Donate here. Use your smart phone or computer to make a gift of ANY amount. Spread the word. Share your good deed with friends that day on social media using #RaiseSomeL. Organic, campus Food Gardens where students, faculty, and staff can build community and vital life skills while experiencing the unique pleasures of turning tiny seeds into delicious, hyper-local produce.